Saavy business owners don't spend valuable time and energy trying to process payroll in-house. Printing and distributing checks, calculating payroll taxes and preparing reports can quickly sap your resources. Our Northwest Chicago Suburbs, IL CPA firm offers payroll processing solutions to save you time and make running your business easier. 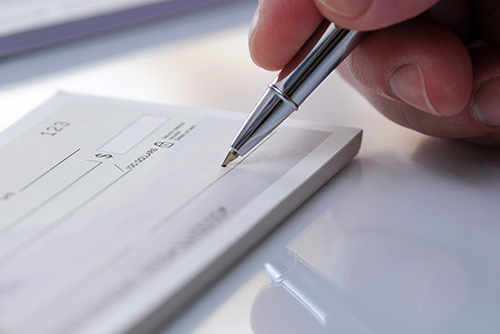 When you outsource your payroll to Weiss & Thompson, P.C., you’ll have peace of mind knowing that this critical aspect of your business is being handled by a firm that understands the ins and outs of payroll processing. We know how to pay different types of workers and how to correctly calculate payroll tax filings. We’ll submit all your federal and state tax deposits on time to avoid penalties and prepare W-2s and 1099s with precision. We can also deal with time-consuming issues like unemployment claims, worker’s compensation audits and other complicated payroll tasks. And we’ll always keep you informed with detailed payroll reports organized to your specifications. Best of all, you’ll receive the friendly service and personal attention that comes from working with a local Northwest Chicago Suburbs payroll provider. We’ll take the time to conduct a thorough assessment of your payroll needs and formulate a package to meet them. Then we’ll work hard to deliver regular, reliable service and answer any questions along the way. We encourage you to take advantage of our free initial consultation to learn more. Call us at 847-593-7558 and schedule an appointment today. Our payroll processing rates are lower than the larger national payroll companies and will fit the budget of any small business. We can take payroll tax fillings off your hands! We'll file your payroll taxes on time and prepare tax documents at the end of the year.